Upgrade to the Fresca Solido Lotion Dispenser (Wall Mount) in chrome, part # FAC1323. A sleek quadruple plated chrome finish with 100 percent brass construction make this stylish soap and lotion dispenser durable and moisture resistant. Smooth pump action dispenses your personal products cleanly. The steep angle of the nozzle directs the flow to your hand. The low profile 4 5/8" W x 4 1/4" D x 5 3/8" H size saves counter space, and a wide-rimmed base ensures stability. Bought this for a closet turned into 1/2 bath with no space on petite vanity for soap. Mounted on tile easily, and compact style means it does not extend above backsplash. Contractor was impressed with construction, and I am pleased with function thus far. Looks highend with sleek design. Easy to install and clean. I love the simple design. I have a pedestal sink with no real room for a soap dish or dispenser. It is perfect! 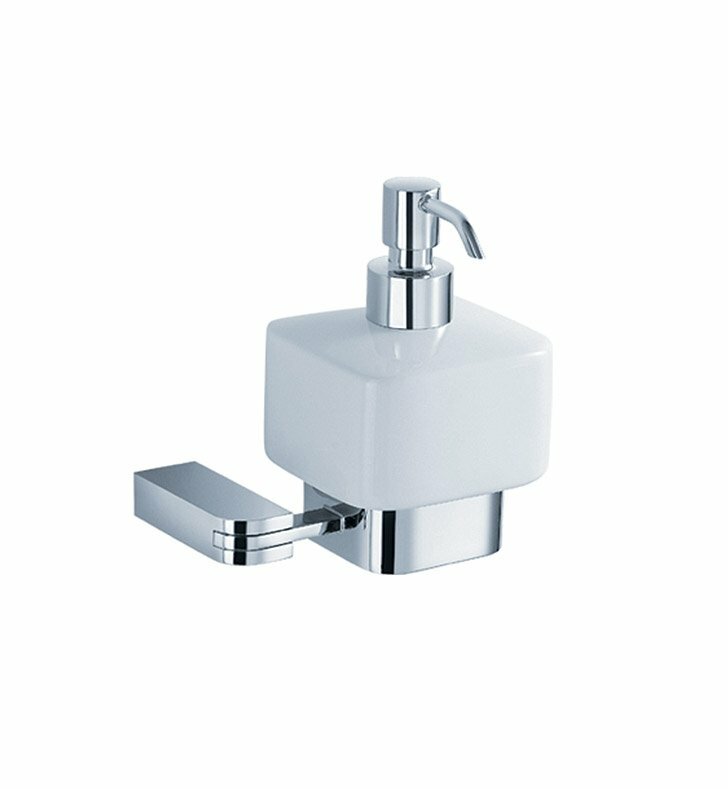 I searched alot for a unique wall mounted soap dispenser that was modern and of good quality. This dispenser is exactly that and more. it is simple to mount, it looks very expensive, the quality is second to none and it pumps extremely well. I would shop from Decor Planet again and would definitely recommend this product. ITs great in my small bathroom where I needed a wall mounted soap dispenser. Very modern!